The Vancouver City Council meets the first through the fourth Monday of each month except Monday holidays. Workshops are typically held before the regular Council meetings and do not include a public comment period. Complete coverage of the April 22, 2019, City Council workshop meetings. 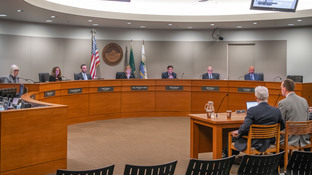 Complete coverage of the April 15, 2019, City Council workshop meetings. Complete coverage of the April 8, 2019, City Council workshop meetings. Complete coverage of the April 1, 2019, City Council workshop meetings. Complete coverage of the March 25, 2019, City Council workshop meetings. Complete coverage of the March 18, 2019, City Council workshop meetings.